After years of fighting for more flexibility, workers around the world can take heart in a simple fact: flexible work is becoming the new normal. 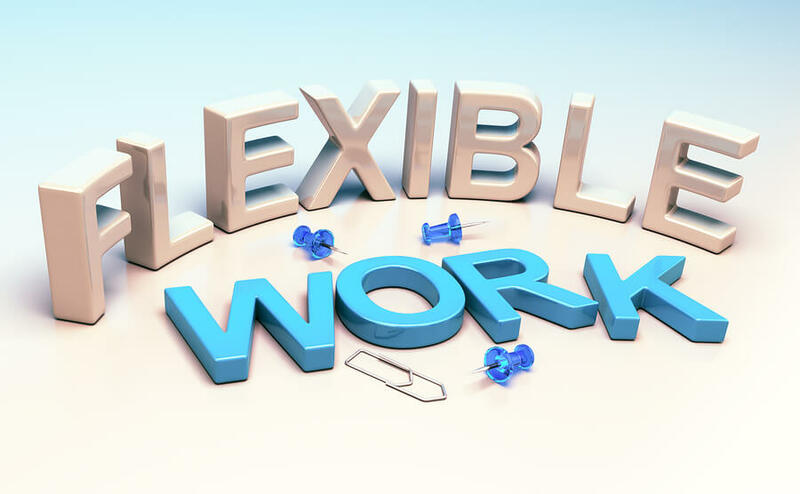 That phrase is music to the ears of many employees, who have spent decades building the case for flex work to their bosses, then proving that flexibility is better for both workers and a company’s bottom line. While that work continues, it does appear that companies have heard the message. According to a recent survey by recruiting company Hays, 89% of employers said flexible working options were “very important” or “important” for staff attraction and retention. The survey of 1,253 professionals and 951 employers also showed that 33% of the professionals said flex was critical to their decision to stick with an employer. Another 63% said it was “nice to have,” while just 4% said flexible work was not important. [central business districts] to access affordable housing, balancing ongoing caring responsibilities, ramping back up after parental leave or throttling back from full-time work toward retirement. Deligiannis points out that the growing power of millennials in the workforce is also contributing to this “new normal” of flexibility. All of these are valid reasons for the mainstreaming of work flex, but Hays isn’t the only organization noting the trend. A recent Fast Company article points specifically to the growth of remote work as part of the flexibility surge. These kinds of statistics support what flexible work advocates have been saying for many years as they foresaw the inevitable normalizing of flex. The truth is, when it’s formalized with a policy, tailored to an individual company and its employees, and managed correctly, flexibility helps everyone. It allows business to recruit and retain the best workers. It could also make them more environmentally friendly (by cutting commutes) and reduce spending on office space, among myriad other benefits. Meanwhile, employees who have flexible work options tend to have more balanced (or more successfully integrated) lives, allowing them to more effectively use both their work and off-work hours. That improved balance tends to make them happier and, often, more productive. Not all companies are fully on board with flex yet, but as more surveys, studies, and personal experiences show its benefits, they are bound to take a look. Until that transformation is complete, advocates can at least share some satisfaction in the success of past efforts to move flex from a fad or buzzword to an expected and “normal” part of the business world.